The Dreyfuss Special is a portable stereo speaker system I designed. 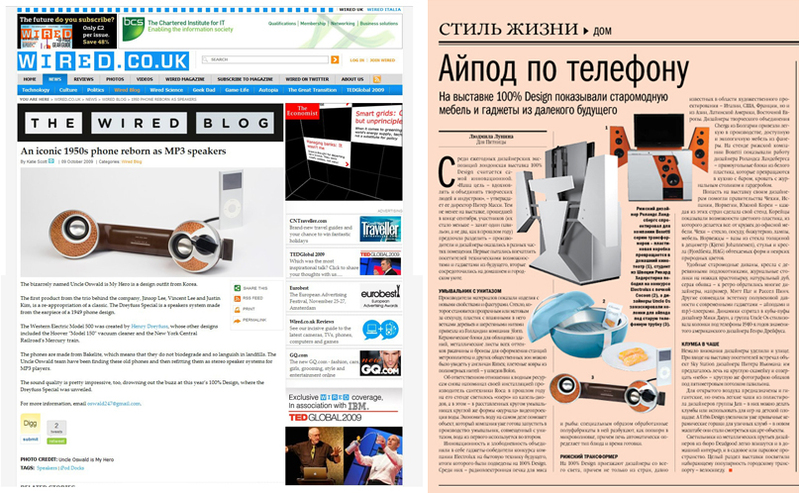 It received the Red Dot Design Award (Honourable Mention) in 2010. 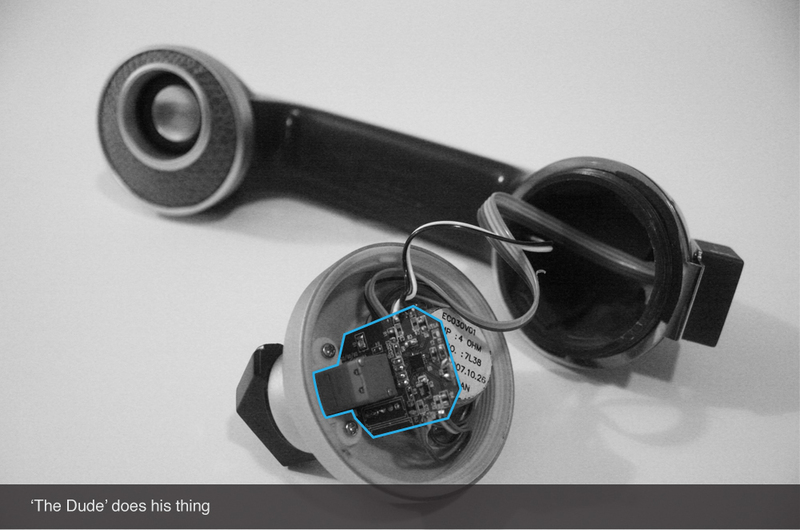 For my final thesis in university I had an idea to recycle old telephone handsets into modern cellphones. Why did I redesign this handset as another phone? Back when I was working on this, my thinking had been too limited. 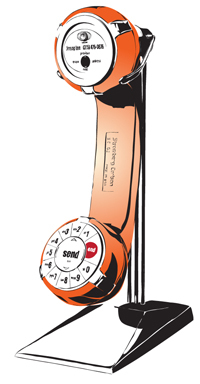 Just because this handset was once a cellphone, that did not mean it had to be a phone again. It could be anything. Spurred to action, I decided to find out which area of the consumer electronics market was booming. Google told me that accessories for MP3 players and cellphones was quickly becoming a multi-billion dollar industry. So that was the one to go for, then. Google told me that the cell-phone accessories market would soon be a multi-billion dollar industry. 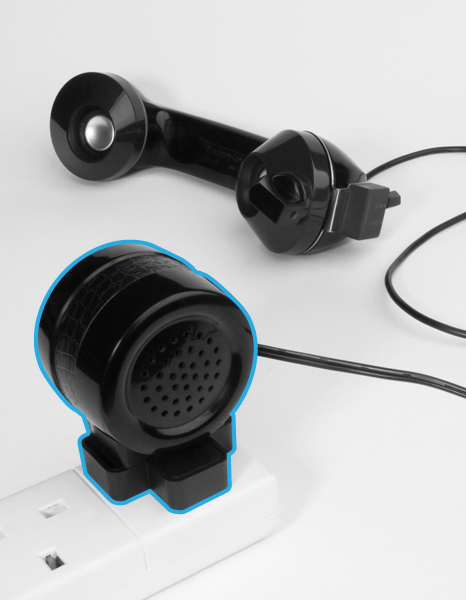 Since the design of the original Dreyfuss telephone handset was so iconic, I knew my design for the speakers would have to do justice to this handset. 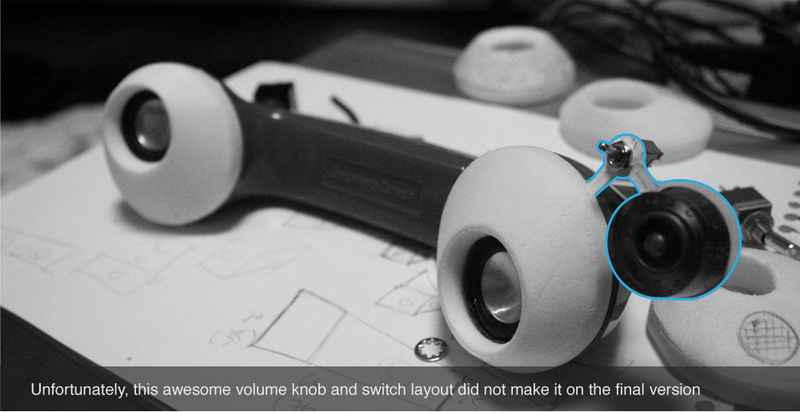 The most important part I would have to design is the bit the holds the speakers and screws onto the handset. For lack of a better term, I shall refer to this part as the speaker grill. 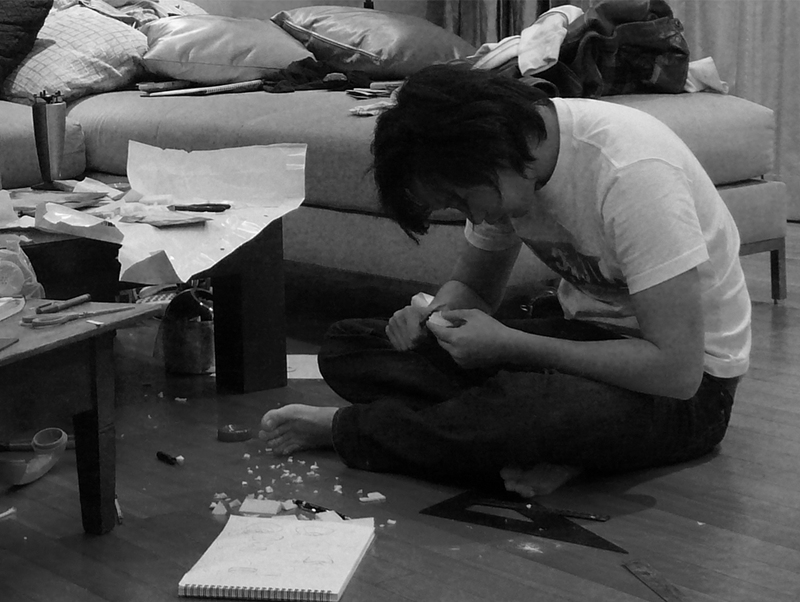 Here’s an example of one of the early sketch models. As you can see, it’s crap. All of these early versions were so… boring. I was stuck, so I did what many a great innovator has done: copy. And if I was going to resort to copying, I was definitely going to copy the best. Back in my teaching days, students often asked me who I thought the best designer is. I always gave them one answer: Nature. Nature has designed over 14 million products for almost 14 billion years (although this actually works out to 1 product every millennium, the results are still impressive). Nothing in nature is symmetrical. Even things that seem symmetrical, aren’t. A good example is the human body. As you know, our bodies aren’t quite symmetrical, from our face down to, you know, other bits. So, I shamelessly stole this same tactic when designing my speakers. You see, all my attempts until now had placed the speaker right in the middle of the grill. Like my mentor Nature would have done, I moved the speaker as far as possible off-center. Ahhhh… much better. I called this: Googly-eyed design. I then made this design even more asymmetrical by adding a volume knob to one side only. The idea for the adaptor came quickly to me. Since each telephone handset comes with a cover for the earpiece and mouthpiece, I decided to reuse these for the adaptor. Some people thought the adaptor was the speaker. Even worse, some people asked if the adaptor holds the subwoofer. This was bad because that’s a damn good idea and I wished I’d thought of it. Some people thought the adapter was cooler than the main product. 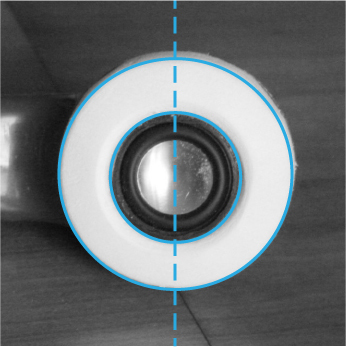 So how did a couple of designers engineer a working prototype of stereo speakers that sound great and have blue tooth capability? The Dude's taste in music was questionable. There was the small matter of a circuit board that was three times bigger than the speakers. One interesting point noted by ‘The Dude’: He told us it was a pleasure to work with these old telephone handsets. 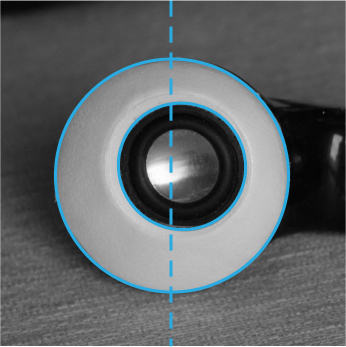 The density of the material, combined with the natural form meant no modifications were necessary to the handset when transforming them into speakers. 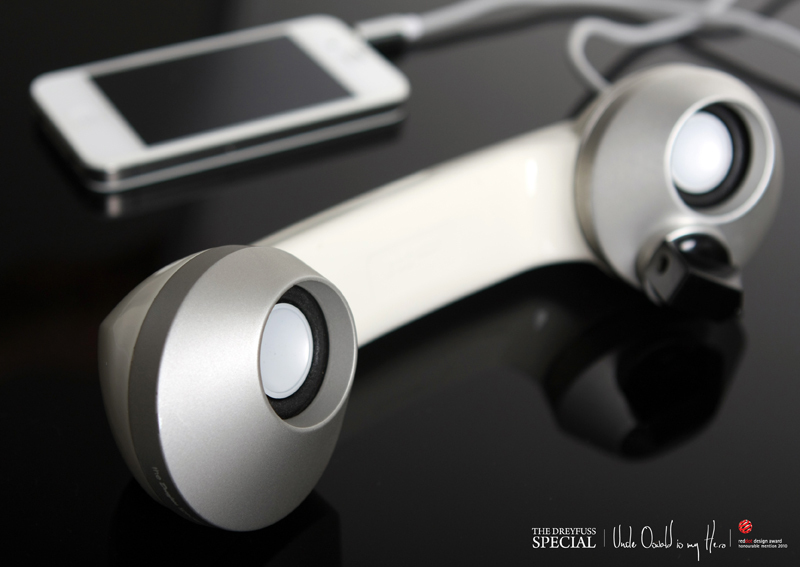 In short, these handsets were perfectly suited to become stereo speakers. I wanted to claim that I'd known this all along, but it was one of those fortunate coincidences. I claimed it anyway. Hurray for upcycling! Once the design was finalized, several working prototypes were made. 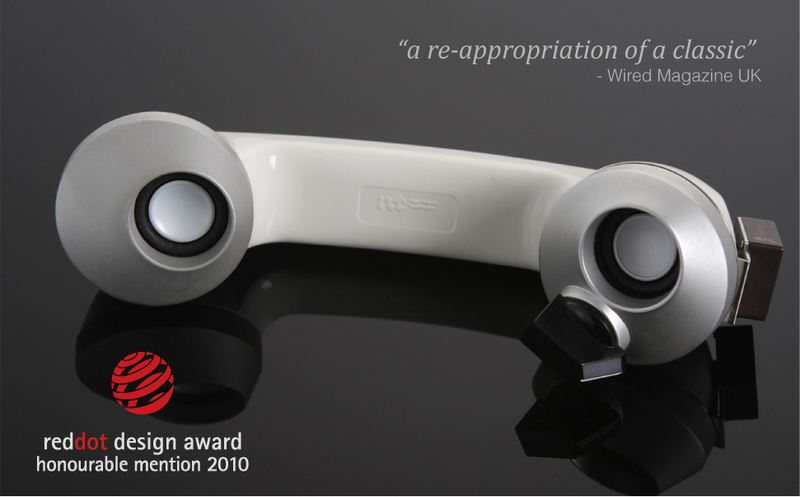 We named the product ‘The Dreyfuss Special’ in honour of Henry Dreyfuss, the original designer of this telephone handset we recycled. You see the model right above you. The banana one. We had some left over parts and put it together as a joke. I mean, who would want a yellow and brown speaker? It was the surprise favourite with the public when we exhibited our speakers. From right: Jinsop Lee, Justin Kim & Empty Chair we bought at a flea market so visitors could have a nice sit down. Chair was more popular than us. Wired Magazine Blog. I have read this magazine for over a decade. It's made me smarter. The Russian Financial Times. To this day I have no idea what they said about our product. Wait! That's not the end! The second part of this story continues here.